You probably think learning to read, write listen and/or speak Japanese is tough, well you are very right. Your friend who knows a little bit of Spanish, French, Chinese or Portuguese which you don’t will tell you it’s easy, but it’s simply not. Here, I’ll take some time and try to and give you guidelines and ways in which if you follow to the latter you’ll know how to learn Japanese in a month or so, but it WON’T be easy. Some advice I’ll give you from the start is to put in the work especially if you are doing this on your own. I personally completed my first month of studying basic Japanese language a week ago. The first few lessons were a bit of a joyous ride but approaching the end; the progress was slower and bumpy. I’ll share with you how the month was and what it took me. Of course, effort and hard work are up there on the list. I’ll also partly tell you where I am currently. The equivalent of European Languages’ noun genders is formal or informal verb usage to consider. Spanish may have strangely morphing conjugation to worry about, Japanese has special verb forms. Then again, Japanese grammar rules seem to apply consistently hence easier to grasp. I will assume you know little to no Japanese and therefore start from the most basic stuff. Probably most people put Japanese on the same level of difficulty as Chinese, but I find it more manageable. Honestly speaking, the fact that the Japanese-speaking people come from the other part of the world and have a different skin color, is what intimidates most. None of these was even under consideration when I decided to learn Japanese. First of all, learn Hiragana. It is Japan’s version of the English alphabet. Hiragana alongside Katakana and Kanji are the three writing systems. I personally prefer the Hiragana writing system since it will cover; speaking, writing (not for now because it could take you forever to learn how to write each character), listening and reading. It will also give you an explanation of how you should use any phrases or words appropriately. This should take you a maximum of 3 days. Well, it could take you a day or two if you are a fast learner. Do not limit yourself. Hiragana will be key in helping you understand how words in Japanese sound. It will go a long way to ensure you get the foundation for a native-sounding accent and in showing you how to learn Japanese in a month. Since you are now able to pronounce and read the Hiragana, you should now focus on learning how to type it on a computer or even a smartphone. You probably will need to install a Japanese keyboard (not to be bought to cut on costs). Download the IME (input method editor?) software on your laptop, phone or even any operating system. Typing in Japanese is surprisingly simple given you know how to type in your native language. You will need practice to be able to type Japanese naturally though. Japanese does not have tones, and this is a huge factor to me as tones were the main reasons it took me a long term to grasp Mandarin. 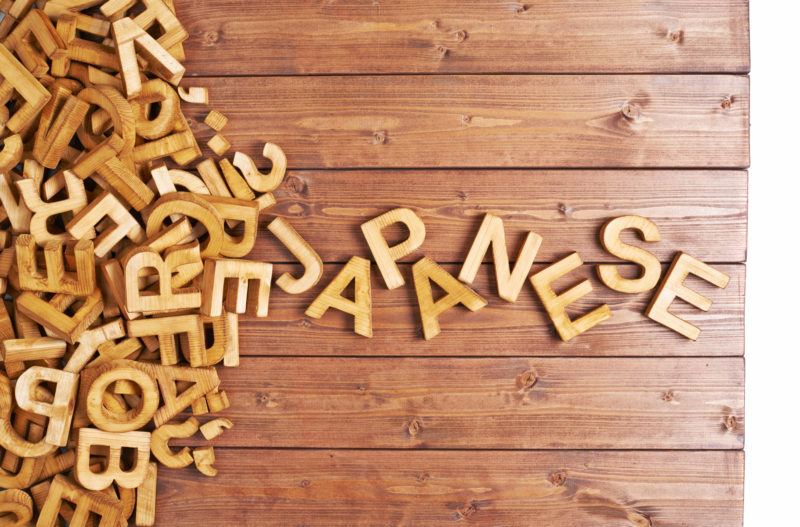 There are also loads of other features that will make you feel more comfortable and familiar with the Japanese language. To be honest, the hardest part at the start is to grasp the concept of new grammar and vocabulary, as with learning any European language. Once one is able to type and read Hiragana, I’ll advice you to learn the most basic Kanji, and I’ll give you reasons for that. First, Kanji is the hardest part of studying Kanji since it holds the most important aspects of learning Japanese. It is also the lead to vocabulary, hence will aid your communication. Once you are in sync with the most basic Kanji, it’s time to dig in to the actual Kanji. Learning Kanji means learning the most needed English meanings and the most needing Japanese readings. At this stage, I expect that you have already grasped all the knowledge to speak basic Japanese in the four weeks. As one learns Kanji, the vocabulary that come with it will help solidify its concepts in the brain as well as the readings of Kanji. This will go a long way to gluing the Kanji and grammar together. Your target while learning Kanji should be to learn 20- 30 kanji and more than 100 vocabulary words that work with the Kanji each week. Not too many, are they? Remember that momentum is always key while learning something new; just as a baby learns to talk, or studying a new concept at school. There are a few methods you can use to memorize the Kanji though. The Radicals Mnemonic method will definitely speed up things considerably. Leaving aside learning Kanji (which is, of course the most heinous form of blasphemy to so Japanese purists, but it’s the one thing I will strongly recommend to any Japanese learner worldwide), getting used to the Kana writing system( which you can learn in a day or two) is just like learning any other European language such as English. With all this in mind, my first week was basically learning the Kana writing system, and was able to read a script on camera though slowly. I learnt each phonetic script in few hours. I stuck to and learnt phrases together with basic vocabulary to get me started. I also used Skype a lot in this early stages to chat with my teachers. With this help, I was getting a little more comfortable with the Japanese sound and the basic communication. I could introduce myself almost flawlessly to any Japanese person I met. As a beginner, script your conversations and grab a bunch set of phrases to boost your confidence. At this moment, things were great and I was ready to work on the spoken aspects. Online videos such as YouTube videos. Social media such as Facebook, Twitter and Instagram. As you interact with people online, you could get some Japanese friends to converse with and improve your vocabulary.